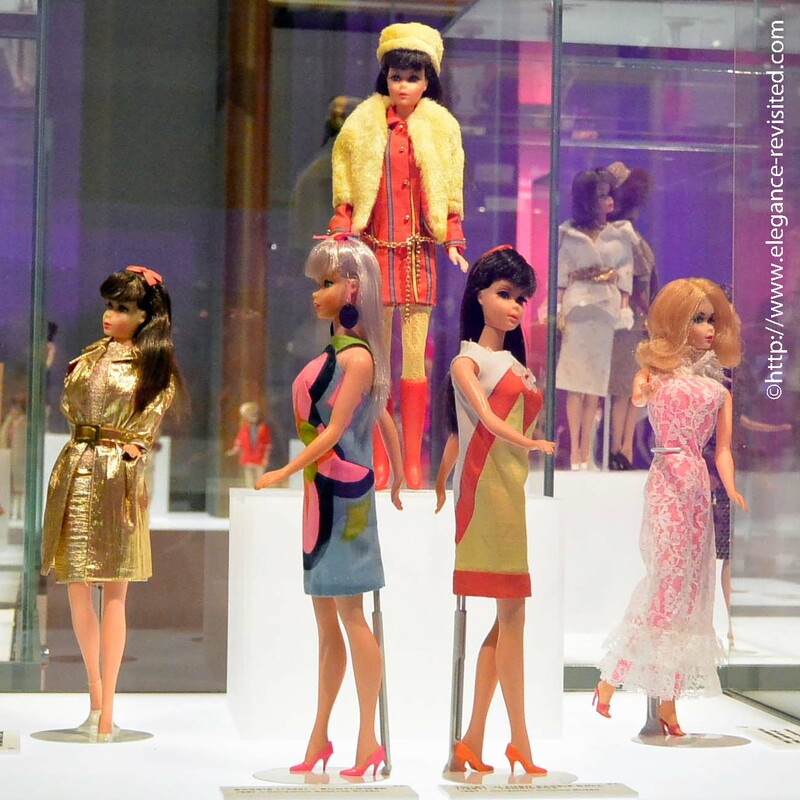 I went to see the Barbie exhibition at the National Museum a while back (a few weeks ago, actually, I just haven’t had time to edit the photos until now…), and I wanted to share a few photos, and thoughts, with you. 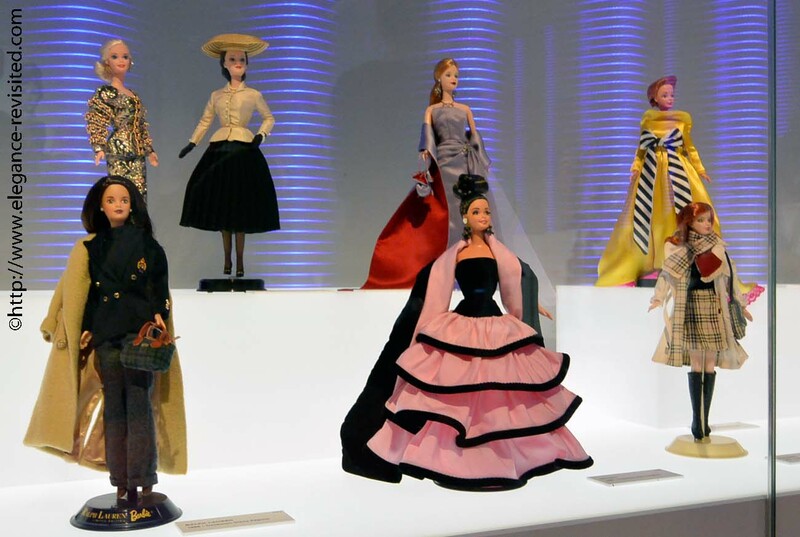 Well, Barbie is such an iconic figure that she hardly needs an introduction. 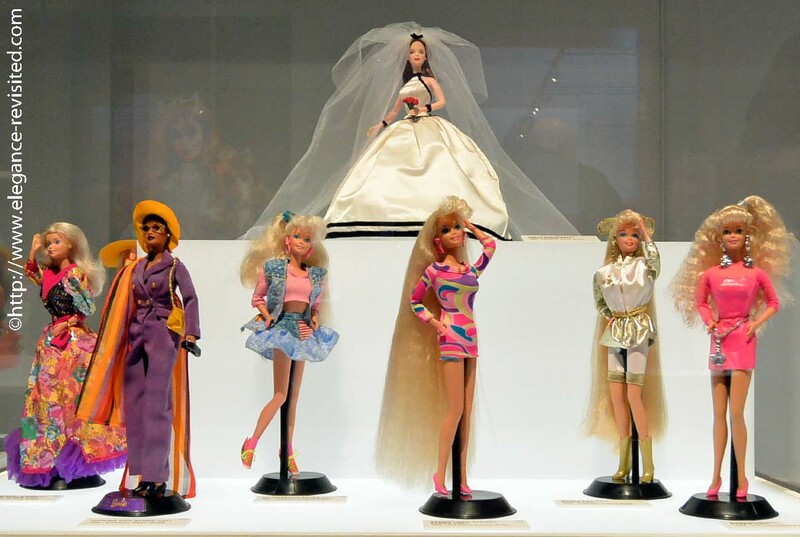 Since before I was born, Barbie has been part of the cultural landscape young girls are exposed to, all over the world. And as grown women we’re well aware of the criticism towards the impossible body image that Barbie promotes. However, I think Barbie has far less influence on shaping little girls’ ideas of femininity than she’s given credit for. Or maybe it’s more an American issue, and as a Finnish woman I can’t really relate to it. In any case, I never thought of Barbie as a ‘role model’, whether feminist or anti-feminist (I had plenty of real women in my life to fulfil that function). 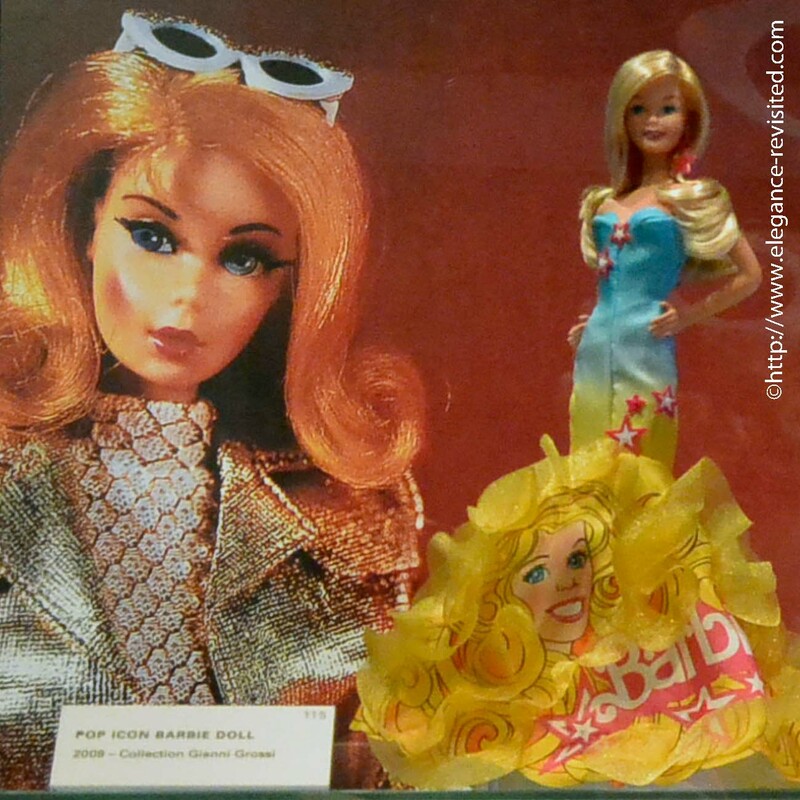 I liked Barbie because she always had incredibly cool clothes. I actually talked about this with the two friends who accompanied me to the exhibition (thank you A & A for a lovely afternoon), and we all agreed on this. We all loved Barbie, but we didn’t really care about the (more or less) empowering roles Barbie took over the years (from nurse to flight attendant to doctor to astronaut to you name it). It was all about the clothes for us. 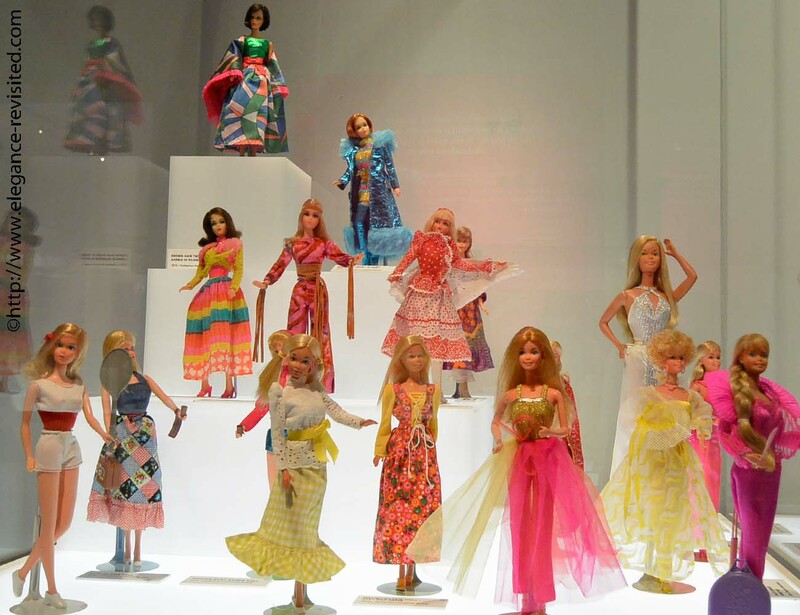 For sure, my Barbie Dolls were fashion addicts who lived solely for their wardrobes. They didn’t really ‘do’ much, other than changing their clothes all the time. And if I couldn’t find enough cool clothes for my Barbies in the shop, I had my mother or my grandmother make them. My little circle of friends was also fiercely competitive when it came to getting the coolest stuff for our Barbie Dolls. And at that time, in the early 70’s, all the Barbie cars and pool houses and horses and other fripperies today’s little girls covet were not available yet. At least not in Finland. So, we had to be a bit more inventive and use whatever was available. I remember I was really envious of a friend who had a pretty, old perfume box she had got from her mother. Of course, I tried to convince my mother to buy the same perfume just so I could get a similar box… What was the box for, you may ask. Well, it was the treasure chest where Barbie kept her diamonds (= the beads from a broken necklace). The diamonds were very important, of course, and had to be displayed properly. 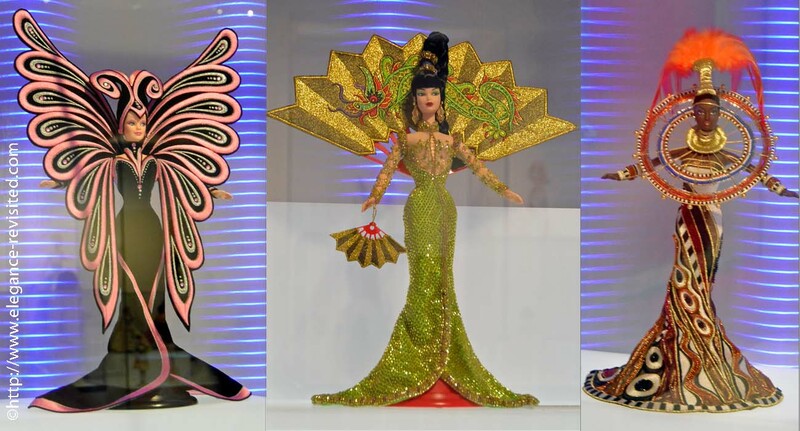 In a way, dressing up Barbie was a creative outlet. We used scraps of fabric or embroidered handkerchiefs to create ball gowns and capes, and experimented with style. We played with pretty, sparkly things, and then went back to ‘real life’ in our own sensible clothes. None of us ever wanted to look like Barbie or even dress like her. And we all grew up to become level-headed women with careers and responsibilities. I don’t believe for a second that Barbie had anything to do with our career aspirations or our self-esteem. But she may have taught us that whatever we do in our lives, we can also like nice things and have a sense of style. I’m sure we all have our own memories of growing up with Barbie. Tell me know yours in the comments. Previous Post What is Nordic Minimalism? I think it's only adult women who might find Barbie problematic, I don't think little girls think about body issues. We certainly didn't. Playing with Barbie was just fun. These days people see so many problems everywhere, and everything becomes identity politics. Children should be allowed to just have fun and play without value judgments. Oh yes, we were crafty. We had to be; there was very little available. I sometimes think today's children miss out on being innovative as they have so many choices available to them. This is just too fun! Those Bob Mackie and Audrey Hepburn dresses are tres chic! Thanks, Kim! 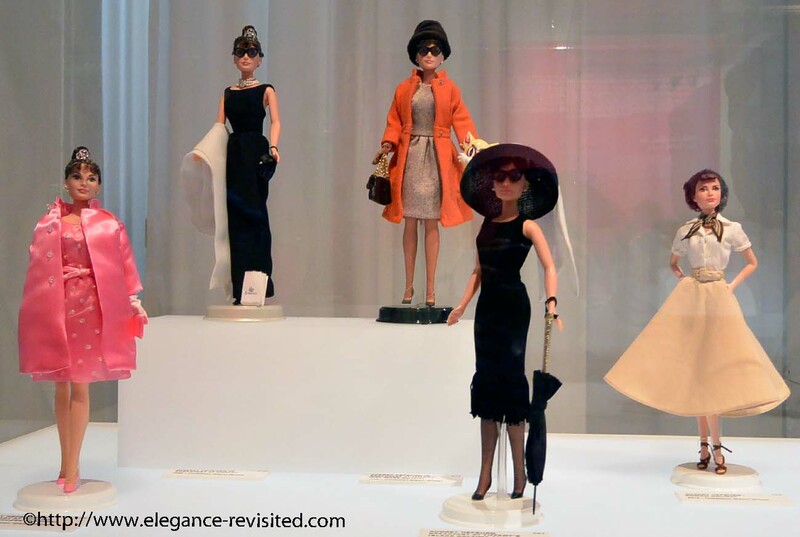 I found the Audrey Barbie just fabulous. 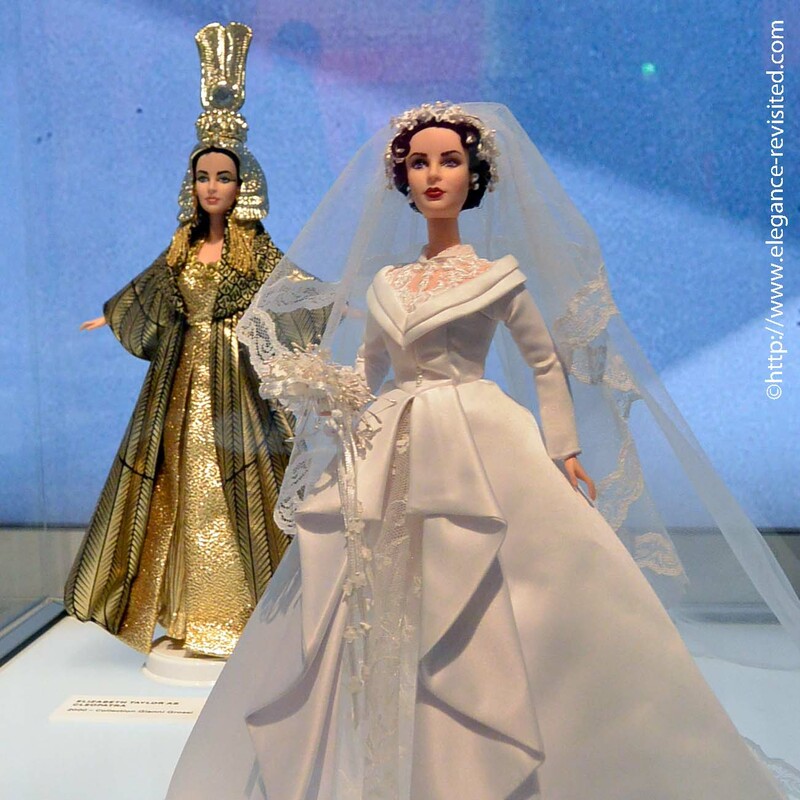 There was also a Marilyn Barbie, and lots more that I didn't include in the post. That's wonderful, you keeping some of this stuff for your daughter! 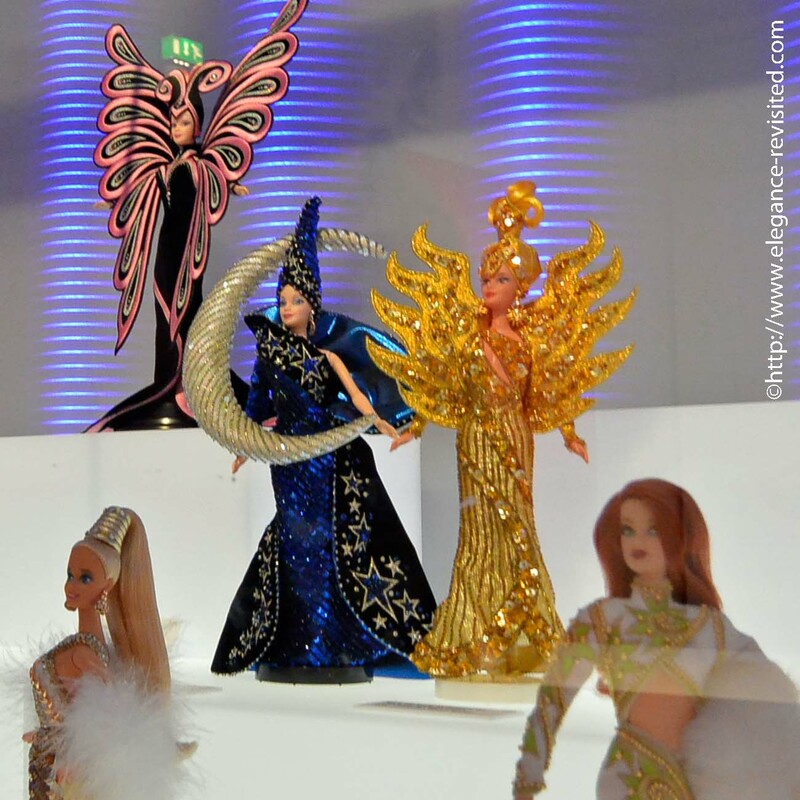 Oh, I would truly enjoy visiting a Barbie exposition! 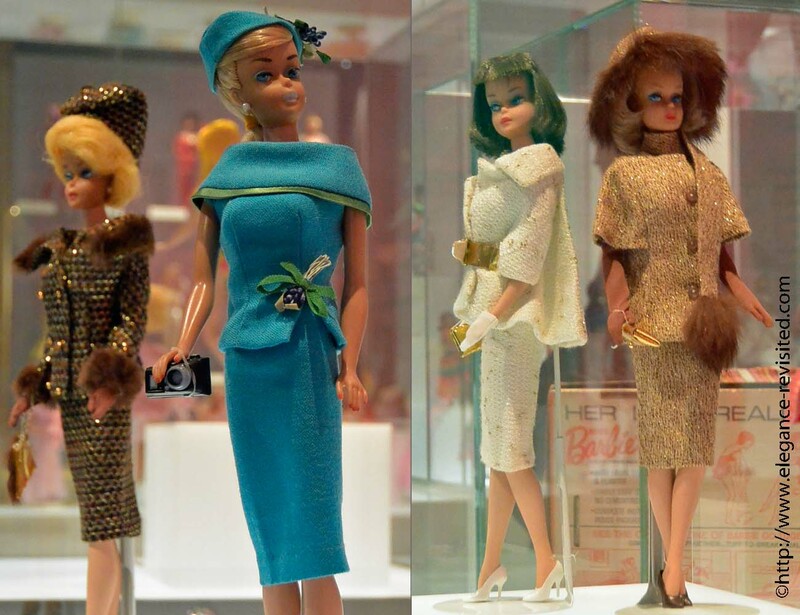 I really enjoyed the photos of Barbie over the years and reading your thoughts on her. As an American who did grow up with Barbie, I also do not ever remember thinking I was supposed to look like her, but I do remember overhearing the conversations adults around me had worrying that one day my sister and I might. Like you, I enjoyed experimenting with her style and getting creative with Barbie's wardrobe. I do believe my friends and I had enough sense to know Barbie was simply a doll and not something to model my life after. Thanks, Jennie. Yes, I think children are smarter than we think; they know what's real and what's not. How sweet that your daughter plays with your old Barbies! What a great story, thanks for sharing it.